Warmer weather is on the way, and the events and concerts in March are sure to heat up as well. Take Metro to all the action. The Missouri Valley Conference men’s basketball tournament, commonly called Arch Madness, kicks off today at the Scottrade Center. The tournament will go until March 4. A few days later, the Southeastern Conference will host its men’s basketball tournament at the Scottrade Center from March 7 to March 11. P!NK brings her Beautiful Trauma tour to the Scottrade Center on March 14, followed by Miranda Lambert, who will stop by on March 16. Next door, American rock band MGMT performs at the Peabody Opera House on March 5. Further west, in the Delmar Loop, the concert scene is booming. America’s Got Talent 2016 Finalist Tape Face will bring his comedy show to the Pageant stage on March 6. The next day (March 7), American rapper Vince Staples performs. American hip-hop artist Lecrae will perform at the Pageant on March 19. American indie electronic duo Matt and Kim will take the stage on March 27. At Delmar Hall, Canadian musician, singer, and songwriter Lights will perform on March 14. American hip hop duo Atmosphere takes the stage on March 23. Hatebreed, an American metal band from Bridgeport, Connecticut, will round out the month with a performance on March 27. Metro makes it easy to avoid traffic and having to pay for parking. Drive, bicycle or walk to any of the 21 free Metro Park-Ride lots in Missouri and Illinois, buy your round trip tickets and ride MetroLink to the Civic Center MetroLink Station (just steps from the Scottrade Center) or to the Delmar Loop MetroLink Station (near The Pageant and Delmar Hall). You can also hop on MetroBus to get downtown or to the Delmar Loop. Ride on one of more than 20 MetroBus routes to the Civic Center Transit Center located at 14th & Spruce Streets, or catch one of five MetroBus routes that will drop you off in the Delmar Loop. Ready to let Metro do the driving to your next big event? 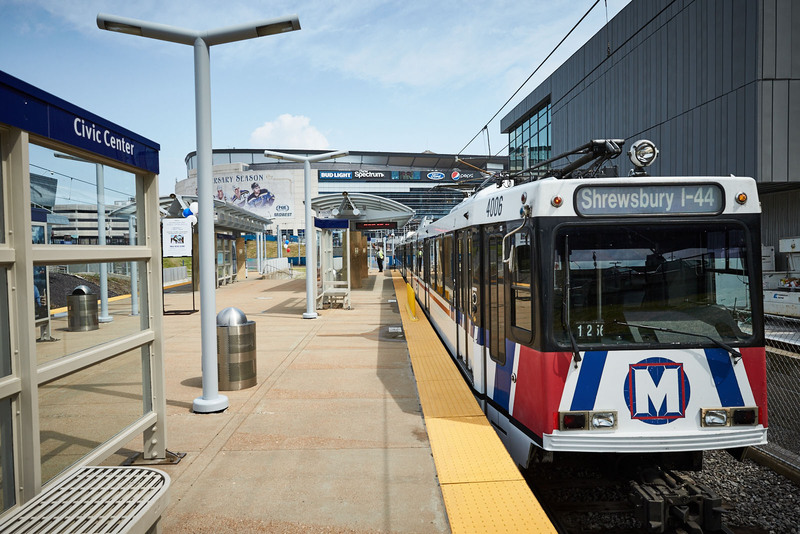 Plan your trip on Metro transit by downloading the Metro On The Go app to your mobile device, or reach out to Metro Transit Information at 314-231-2345 or 618-271-2345, Monday through Friday from 7 a.m. to 6 p.m.